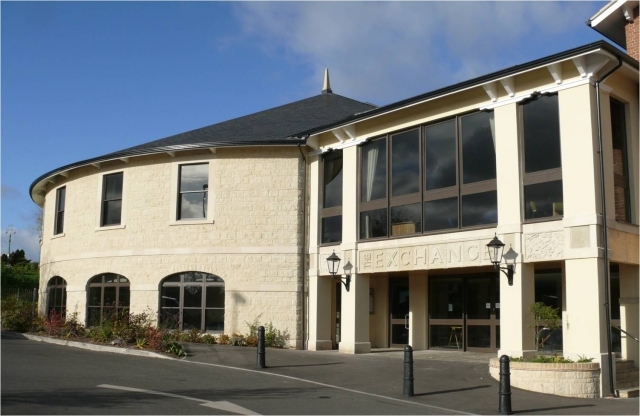 The Exchange is an exciting, versatile, new community building offering facilities to suit everybody's needs. It is a community, arts and learning centre with great potential for the business community. With a wide variety of rooms available, fitted with the most up-to-date equipment, including energy-saving under-floor heating throughout, it is the ideal venue for all types of function. The Exchange regularly caters for training courses, conferences, parties, wedding recpetions, theatre and music events and if we don't have the equipment you require, we can help find someone who does!